It's Thursday! 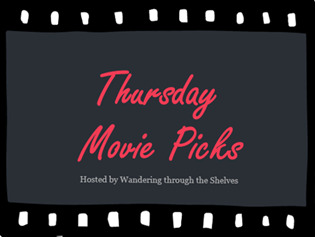 And another week where I get to recommend three titles from the vault as part of Wandering through the Shelves' Thursday Movie Picks. This week: Adaptations of Classic Literature. Much like earlier this year with the infamous Live Action Fairy Tale Adaptations, I found myself at a bit of stand still on this one. I just haven't seen many in the "classic" sense I feel is warranted here. I have seen no adaptations of Bronte or Austen or Dickens. I have seen what Peter Jackson did with Tolkien, but that's been beaten half to death by now. I've decided my spin this week will be adaptations of classics that are more reimaginings than true source-to-screen adaptations. These are movies far away from their sources but with the core through line intact, for the most part. Mel Brooks' genius is delivered to its greatest effect in this one. Not only is this an incredibly funny movie but also a nod to the relationship we all have with the Frankenstein story itself and its various reimaginings over the nearly century and a half (now almost two whole) since Mary Shelley published one of America's first iconic novels. Plus, it's a masterfully made period piece. Francis Ford Coppola gave his all to this war film masterpiece, and that's a total understatement. Everything about the making of this movie is now famous movie lore. The movie itself is utterly compelling and fascinating. It is the most immersive war movie I've ever seen and probably the best. The backbone of the story is the same as Heart of Darkness (which is set in the Congo), a crew of men travel in a boat upriver searching for a rogue madman. Tim Burton's movies almost never work for me. Sleepy Hollow is one that does. It is a masterclass in tone, laying the dread on so thick it's hard to even move as you watch it. Emmanuel Lubezki's cinematography is gorgeously dark and the type of flashy I love. This film has absolutely nothing to do, really, with its source material, but it perfects its famed villain, "The Headless Horseman," and its protagonist, Ichabod Crane, by making them darker and more real than ever before. That speaks to the point Washington Irving's original work in and of itself. It's a story about stories within a story. We make it our own, just as Tim Burton did. Love what you did here! I almost went with Young Frankenstein too, but I was already going with a film from that same year. We approached this pretty much the same way...spins on classics that aren't so much direct adaptations but are still wholly inspired by the source. Great job! Thanks, bro! It had to be this way for me. I just seriously haven't seen any of the Pride and Prejudice or movies of that kind. Nice twist. 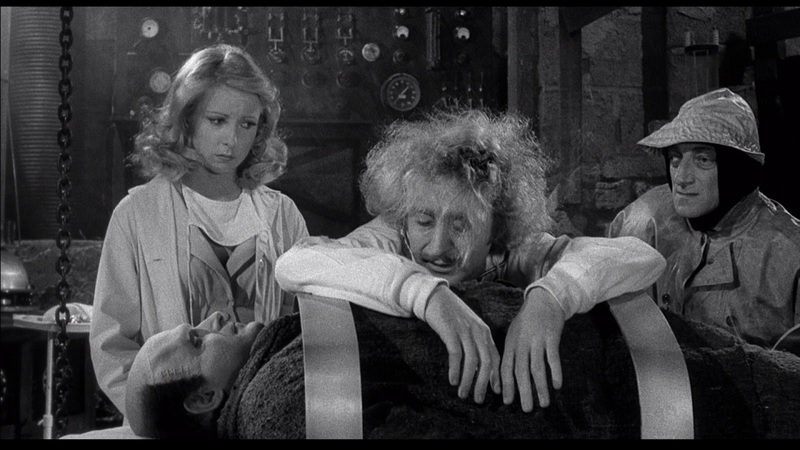 Young Frankenstein is such a crazy, perfectly acted movie turning the legend on its ear. I'm right there with you on Burton films but this one also worked for me. I think since the source material already had that built in ominous factor Burton left it be and the film was better for it. I've never seen Apocalypse Now, once my sister told me she had to leave the theatre because it was just too intense for her, and she is not faint of heart, I lost any desire to see it. I'll probably get to it one day but having just broken down and finally watched The Deer Hunter last month I think I've had my fill for a while. The Return of the Soldier (1982)-Powerful version of Rebecca West's first novel. A wealthy middle aged man returns from WWI shell shocked and with no memory of his life for the past twenty years. He longs to see his first love, now a dowdy housewife, which his wife, a haughty brittle woman, can't comprehend and reacts to hostilely. Standing by on the sidelines is his cousin Jenny who has complicated feelings for him as well. Richly appointed drama is an acting showcase for Alan Bates, Julie Christie, Glenda Jackson and an almost unrecognizable Ann-Margret who are all superb. Far From the Madding Crowd (1967)-Sweeping, gorgeously shot version of Thomas Hardy's dense novel. Julie Christie makes a beautiful Bathsheba, a young woman who has inherited a large estate and whose life becomes complicated by three men. Terence Stamp is fine as Sergeant Troy but the real acting comes from Alan Bates as the steadfast Gabriel Oak and Peter Finch as the tormented Boldwood. Deliberately paced but beautifully done. The Postman Always Rings Twice (1946)-Diamond hard noir with Lana Turner white hot in both dress and sexuality and John Garfield the poor sap who falls under her spell. Excellent direction and a great supporting cast make this adaptation of the James M. Cain novel one of the classics of the noir era. Avoid the Jack Nicholson/Jessica Lange remake, its trash. Honorable Mention-Summer Storm (1944) - Olga, a beautiful young peasant girl brings tragedy to all who surround her including herself. Set in the Russian countryside this adaption of Anton Chekov’s The Shooting Party was one of Douglas Sirk’s earliest American films. Missing some of his signature stylistic touches he still uses shadows effectively and draws excellent work from his cast, especially George Sanders, as the troubled leading man for a change and Edward Everett Horton, in a more complex role than usual, that of a dissipated count. But the real standout is Linda Darnell in the first of the bad girl roles in which she excelled. She digs deep into Olga’s conflicted nature offering a passionate performance of an impulsive girl who is ultimately her own worst enemy. Apocalypse Now is easily one of the most intense war films I've seen, yet at the same time it goes for long stretches that are languidly paced and meditative. I love it, but you do need to be ready to devote most of a day to it. It is long, plays long, and you will need some recovery time. Thanks for sharing your picks here again this week. I've seen none of them, but they all sound great. I've actually debated seeing the new version of Far from the Madding Crowd. Have you seen it yet? I had no idea there was another film version of The Postman Always Rings Twice. I guess this is the one I should see. I'm very close to starting a Douglas Sirk marathon. So many great titles I keep hearing about, and I have never seen any of them, except for bits and pieces of Imitation of Life. I haven't caught up with the new Madding Crowd yet, I've heard some good word of mouth but it's almost an hour shorter then the Julie Christie version. That's an awful lot of movie to lose so we'll see. That new version of Postman despite the presence of Jessica Lange is a groan worthy piece of junk, definitely check out the Lana Turner one. She and Garfield have a combustible chemistry. I've done mini Sirk marathons from time to time. They can be great fun. Imitation of Life is a MUST as is Written on the Wind. Other worthies besides Summer Storm-Lured, All That Heaven Allows, The Tarnished Angels, All I Desire and There's Always Tomorrow. Magnificent Obsession was an enormous hit when it came out and it has beautiful visuals but it is full of existential gobbledygook so approach with caution. I love your picks! I haven't see Apocalypse Now, but I love the other two. I'd like to watch Sleepy Hallow again, it's been so long. Thanks, Britt! I actually want to watch Sleepy Hollow again soon myself. Such a great piece of gothic cinema. Apocalypse Now is just incredible, even more so if you read about the torture it was for Coppola to make. It's a tough, long watch but so worth it. Love your spin on this topic. Young Frankenstein is one of my all-time favorites. It's just hilarious and endlessly quotable. While not quite as quotable Apocalypse Now is also one of my faves. Thanks, pal! I appreciate that. Young Frankenstein is incredible. So much fun! "Walk this way...No..this way..." And Apocalypse Now does have "the smell of napalm," and so much more greatness. Very cool picks! I very nearly picked Sleepy Hollow - if only Burton had gone for more of this kind of tone with Dark Shadows, it might have been more than halfway decent. Young Frankenstein is just perfect in every way. Gene Wilder deserved an Oscar for his supremely, gloriously deranged work. I have yet to see Apocalypse Now, but I have a slight aversion to war movies. I will see it eventually, though. Yeah. I never saw Dark Shadows. I'm so not a Burton fan. I only LIKE his movies. There are very few I love (Beetlejuice, Ed Wood, Big Fish, and this one). Young Frankenstein is totally perfect. And Gene Wilder could easily be an Oscar winner for that one. Gloriously deranged is a perfect assessment of that performance. Even if you never watch another war film again afterwards, you must see this one. For me, it is the war movie to end all war movies. Wait a minute, wait a minute, whoa, whoa, whoa ... We were just talking about how we both like Tim Burton's Batman the other day. Did you not like Sweeney Todd? Anyway, back to the topic. I like you picks although I have no desire to see Apocalypse Now. Batman too. Ok. I did not like Sweeney Todd. It didn't even have the best song from the musical in it. I wasn't that impressed. Everyone that has ever watched and liked a movie should see Apocalypse Now. It defines movie. But I won't peer pressure you too much. Ooh. Very good choices. Would never have though of them myself. 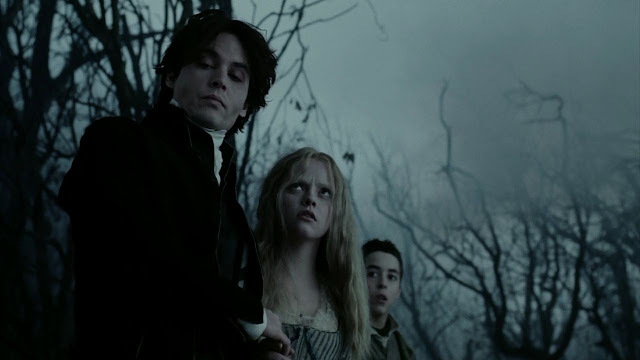 I do like Sleepy Hollow, one of my favourite Tim Burton films. Do you prefer the Redux or the normal version of Apoc Now? I've always preferred the latter, the Redux suffers from pacing issues for me.